I am probably going to be in Newark myself early next week – if anyone reading this spots me outside the Ladbrokes in Market Sq., feel free to come and say hello. I’ll be standing next to a chalkboard with some odds on it. Is Clegg toast and who would replace him? Last week Nick Clegg was 8/1 to be replaced as Liberal Democrat leader before the next election. Yesterday morning that was 5/1 – by last night he was just 5/2 to get the boot. 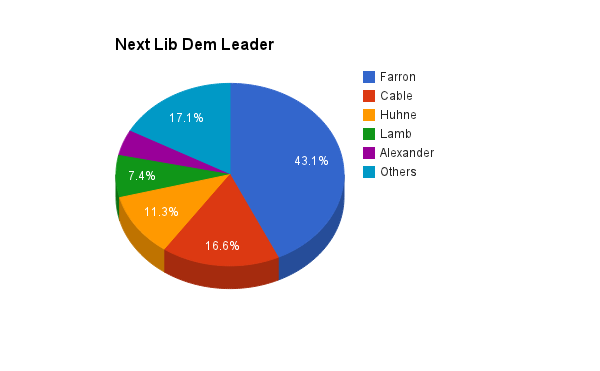 We saw some money for Tim Farron to be next leader, who is now 7/4 favourite. 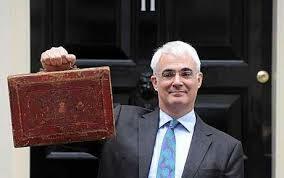 A few shrewdies are on at 10/1, which was the price immediately after the 2010 general election. But Clegg going now might not be a good thing for his leadership chances; it increases the prospect of a more short term appointment, notably Cable. I also noted a couple of interesting bets for Steve Webb who is now 16/1 from 20/1. Here’s where the money has gone since we started betting on Clegg’s successor in May 2010. 1. UKIP go from 7/2 to 11/4 to win the Newark by-election. They “won” the seat in European votes, and that has livened up a market which was beginning to assume that the Tories would win easily. 2. Nick Clegg shortens into 4/1 to be ditched as Liberal Democrat leader before the general election. Personally, I don’t think it’s all that likely and Hills’ quote of 6/4 is probably just an attempt to garner media attention rather than a serious estimation of the probabilities. Ladbrokes can be guilty of that as well – we’ve quoted Clegg at 25/1 to be next Governor of Gibraltar following the Liberal landslide on The Rock. 3. 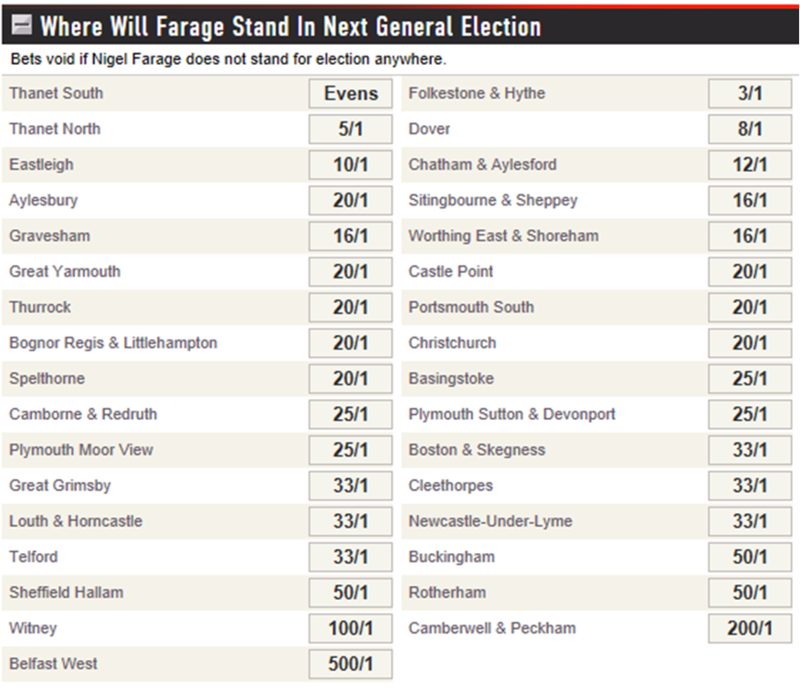 Thanet South is now 4/6 favourite to be the seat that Nigel Farage chooses to stand in at the general election. This is starting to resemble a treasure hunt at a pirate-themed kids’ birthday party. “South of the river” and now “next to the sea” have been the clues that Nigel has opened so far. 4. UKIP are now 1/2 to win a seat anywhere at the general election. 5. 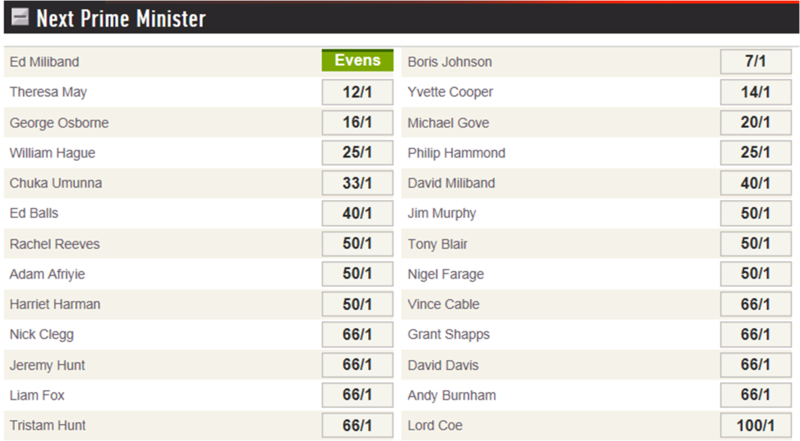 Ed Miliband is Evens to be next Prime Minister, pushed out from 4/5. That’s probably quite a fair price given that Labour are still odds-on to win most seats at the next general election. But nobody seems very interested in backing it. 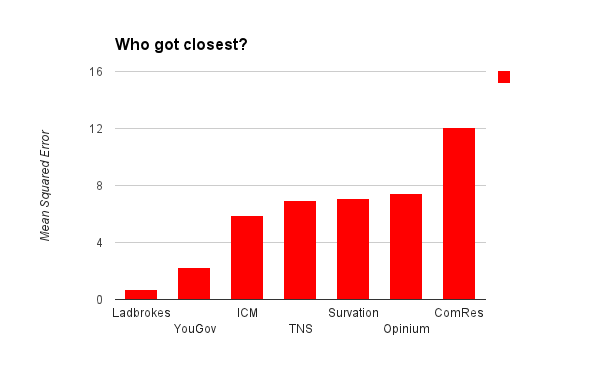 Betting markets beat pollsters in Euro elections. Are the betting markets more accurate guides to election results than pollsters? In this instance, yes they were. The Ladbrokes figure is based on our last percentage lines for each party, which you could have bet at either 5/6 over or under. The pollsters are their respective last published poll and the figures are just for Lab, Con, LD & UKIP. The higher the bar, the more inaccurate they were. To be fair to pollsters, some of the final polls were a few days before the vote. Also, I’m sure had you actually asked a pollster for a “prediction” they would mostly have got closer as they would have been able to factor in some of the vote going to all of the un-prompted itty-bitty parties on the ballot (Pirates, Christians, Lib Dems, etc.). I was particularly pleased that our line on An Independence From Europe’s vote share got so close. We had it at 1.5%, they got 1.49%. The only party who actually out-performed the betting market prediction were the Tories.